The ASUS mini PC features a fast quad core processor, 2GB (expandable up to 8GB) memory, 64GB (expandable to over 1TB) storage, Windows 10 Pro operating system, excellent WiFi connectivity with an external antenna, and multiple ports (including 4 USB ports) for connecting peripheral devices. This power packed mini PC comes in a sleek black design measuring only 8.6″ x 6.7″ x 1.1″ (WxDxH) and weighing just 1.5 lbs. 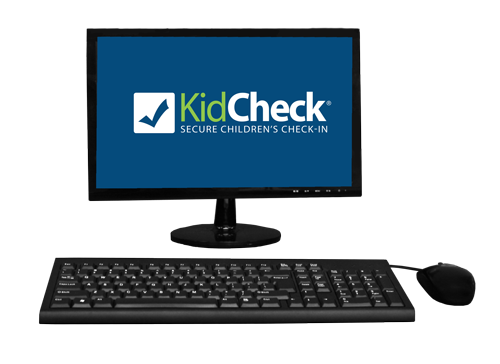 KidCheck’s Check-in Computer provides a fully functional, ready-to-go computing system. The computer is pre-loaded with the necessary KidCheck check-in software and drivers, so check-in is ready to run right out of the box. It comes with a one year limited warranty.